Images above and right courtesy of Sherborne School Archive. 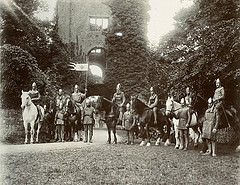 In 1905, to mark the 1,200th anniversary of the founding of the town of Sherborne by Bishop St. Aldhelm in 705, the local Church Council decided to mark the event with a historical pageant which, during the planning, grew in size to involve 900 local people and was staged in the grounds of Sherborne’s ruined 12th Century castle. 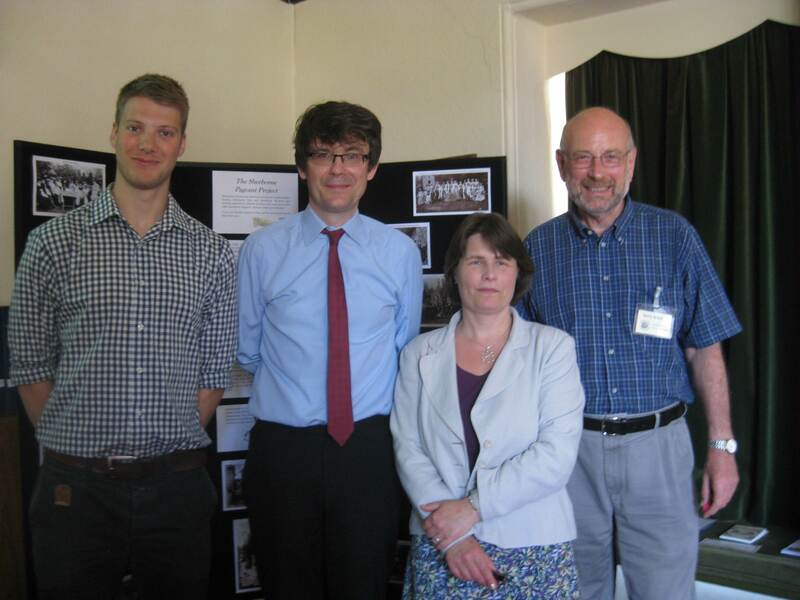 A team of researchers at King’s College, London is currently studying historical pageants for a major AHRC-funded Research Project and on Saturday 4 July Dr Tom Hulme and Dr Paul Readman came to Sherborne to visit the town, Sherborne School (where many of the Pageant records are kept) and to give a talk for us at our Family History Centre. Image courtesy of Sherborne School Archive. During their talk Tom and Paul put the Sherborne Pageant into its cultural and historical context, and also discussed other historical pageants held in Dorset. As well as offering an opportunity for people to come together in a communal activity, dress up and have a good time, they said that pageants also served to filter national events through local eyes and assert the importance of small places in times of change. 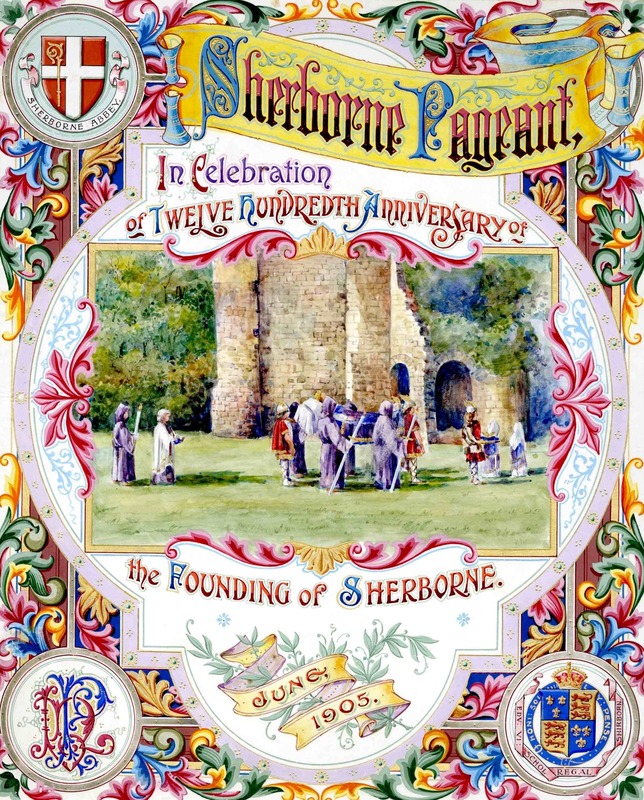 The Sherborne Pageant is regarded as ‘the mother of all pageants’ inspiring other towns and cities in the UK during the early and mid-twentieth century to stage historical reconstructions of their own and the country’s history. Although the popularity of historical pageants has now waned, their influence could be seen in the Opening Ceremony of the 2012 London Olympics. Tom has already written an account of his and Paul’s visit to Sherborne on the Project’s website which also has a very detailed description of the origins, organization and legacy of the Sherborne Pageant. A black and white silent film (45 minutes) of the Pageant can be viewed on YouTube. After the tea break Rachel Hassell, the Archivist at Sherborne School, described the material held by the School’s Archive (for full details, see here and for many images, here ) and her research project in collaboration with the SDFHS to identify participants and trace their later lives. 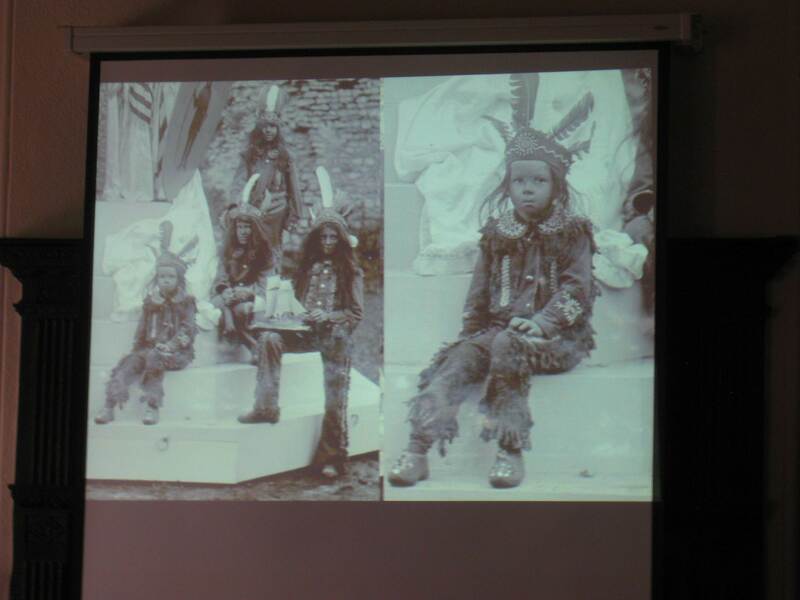 Five year old Robert McCreery who played a Red Indian during the Pageant. Images courtesy of Sherborne School Archive. Rachel would love to hear from anyone whose ancestors participated in the Pageant. Please contact her. 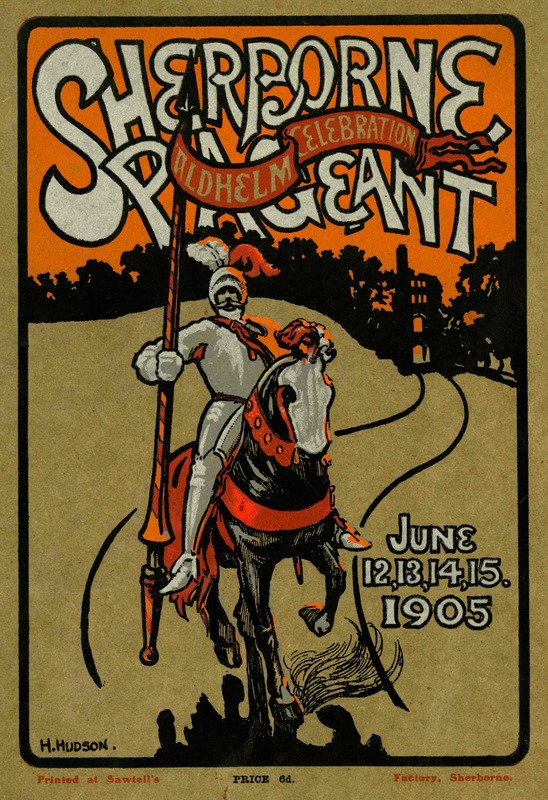 This entry was posted in Uncategorized and tagged 1905, Barry Brock, Family History, Historical Pageants, Paul Readman, Rachel Hassell, Robert McCreery, SDFHS, Sherborne, Sherborne Pageant, Sherborne School, Tom Hulme. Bookmark the permalink.